It seems as though every few months, there is a new diet or health trend that catches the attention of the nation and leads to the sale of millions of books. Some of these are based in reasonably sound scientific theory while others are simply shots in the dark taken to capitalize on those looking for easy, convenient solutions to their health issues. What they each share in common is the faulty conclusion that one size can fit all. Your path to optimal health does not exist in a best-selling book on the shelves of Barnes & Noble. It should be - must be - as unique as you are. It should be customized according to a unique understanding of your needs, goals, and individual biochemical expression. The Mosher Health System, available only at our Poway practice serving the North County and all of San Diego, cannot be condensed into a book meant to be read by millions because it is all about you. It is about identifying how your body is designed to work and finding the precise combination of treatments to improve your genetic expression. Our goal is to alleviate your pain, enhance your function, balance your energy, and optimize your health by design. Then we educate you and give you the tools that you need to maintain your optimal health. Are you tired of feeling fatigued, lethargic, and older than your chronological age? Are you sick of chronic pain, digestion problems, and difficulties sleeping at night? Do you want to take control of your health and your life? At Mosher Health, we can help you feel great, look good, and age well. If you would like to schedule your initial consultation with Dr. Bret Mosher, or to learn more about the Mosher Health System, please contact our Poway practice today. At Mosher Health, we integrate multiple healing modalities, drawing from Chinese, natural, and functional medicine, to treat a range of conditions, including neurological disorders, metabolic disorders, musculoskeletal problems, gastrointestinal disorders, endocrine disorders, skin eruptions, and nutritional issues. We treat these conditions not simply by addressing the symptoms, but by identifying and correcting the source of your suffering. Your treatment plan will be personalized entirely to you and your body to ensure optimal health. Meticulous assessment and analysis of your body’s systems and how they work are fundamental to the creation of an effective personalized treatment plan. At Mosher Health, we use advanced diagnostic technology to determine how your body works, including Acugraph digital meridian imaging, bioimpedance analysis, cholesterol and hemoglobin A1c tests, and food allergy tests. We want to identify the unique ways in which your body works so that we can provide genuinely effective solutions to your health problems. Acupuncture is a safe, painless therapy that can effectively treat a variety of disorders, including those of the ear, nose, throat, respiratory system, gastrointestinal system, circulatory system, and much more. Acupuncture works by adjusting the flow of Qi – a fine, essential substance that nourishes and constructs the body – to restore harmonious balance of the body and its parts. This treatment modality is rooted in 2,000 years of Chinese medicine, and its effectiveness has been confirmed by modern studies. When it comes to optimizing your nutritional health and finding the ideal diet, one size most certainly does not fit all. Dr. Bret Mosher is an expert in advanced clinical nutrition who can provide you with a diet plan customized entirely to you. Your Diet by Design will account for such factors as your unique metabolic type, body composition, genetic expression, and blood sugar levels. By following your customized diet and nutritional supplement plan as advised, you will be able to reverse the effects of premature aging and disease and live a healthier, more fulfilling life. While western medicine focuses on identifying and treating a definitive source of pain or other symptoms, Chinese medicine seeks to identify and address all possible causative factors in balancing a disease pattern and restoring optimal health. Dr. Mosher uses a combination of healing modalities, including acupuncture, herbs, cupping, and moxibustion to treat the whole person in the context of his or her whole life. Through the regulation of your Qi, your body will function better and you will experience a drastic reduction in pain and suffering. 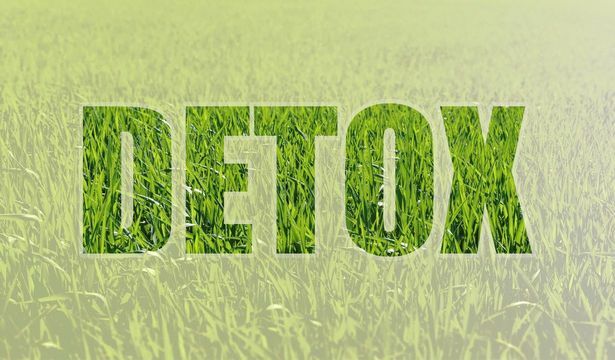 One does not have to look far for advice about how to “detox.” This advice mainly consists of various diets and cleanses, with some recommendations for herbs and supplements. Toxins that we breathe, ingest and otherwise absorb from the environment are certainly harmful to our health. However, trying to detoxify on your own can range from ineffective to dangerous. Dr. Mosher provides customized detox programs that are safe and effective, and can help you reach and maintain your optimum health. Dr. Mosher is an expert in the field of natural medicine who believes that achieving and maintaining a healthy weight is not feasible with a one-size-fits-all diet plan. 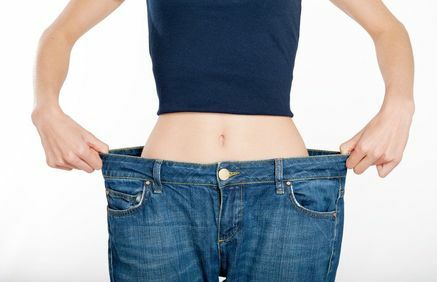 If your goal is to lose weight, Dr. Mosher can create a fully customized plan for weight loss that will also help you achieve whole body health. If you are overweight, your body is functioning improperly. Dr. Mosher can find the imbalances by analyzing all of the circumstances that may be affecting your weight gain. His very personalized approach can help you lose weight and help you regain optimal function in all areas of your health. Craniosacral therapy is a combination of subtle techniques, including massage of the head and neck. This form of therapy is intended to regulate the flow of energy in the body. It has proven to be extremely beneficial for problems such as stress, body aches, tension in the neck, as well as inflammation in back joints and spinal cord. Dr. Bret Mosher is a fully accredited craniosacral therapist, and has helped many achieve relief from pain and inflammation. Like acupuncture and accupressure, reflexology uses the application of pressure to relieve discomfort and improve overall health. Reflexology, however, targets the foot in particular. Practitioners hold that certain areas and reflex points on the foot correspond to specific organs and systems in a person's body. By applying pressure with the thumbs and fingers, a practitioner can consequently affect these areas. While not a cure-all, reflexology can complement other treatments and relieve discomfort.